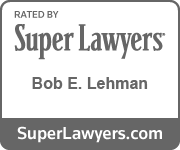 Bob Lehman is a founding member of Lehman & Eilen and is in charge of the firm's broker-dealer, investment adviser, investment partnership, corporate and commercial transaction practice areas. Bob represents more than 100 registered broker-dealers, over 25 investment advisers and numerous investment partnerships. 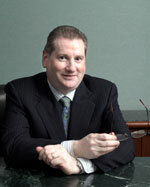 His clients are located throughout the United States with several organized as affiliates of foreign-based securities firms operating in such diverse areas of the world as Australia, Bahrain, Brazil, China, France, Germany, Hong Kong, Iceland, Ireland, Malaysia, Norway, Russia, South Africa and the United Kingdom. Bob has extensive experience in the formation, organization and representation of broker-dealers, investment advisers, financial planners, issuers, industry executives and professionals. Over the course of his career, he has organized more than 350 securities firms and funds, as well as many other companies engaged in a wide variety of businesses. Bob has advised hundreds of industry participants in regulatory and corporate matters, from start up to dissolution and everything in between, including representing firms and individuals in enforcement actions, advising on reorganizations, financings and commercial transactions, and counseling non-U.S. financial services entities on doing business in the U.S. His work involves matters with the SEC, FINRA, securities exchanges and state securities commissions. Bob also is actively involved in initial public offerings, secondary offerings and private placements, both on behalf of issuers and underwriters. His other areas of concentration include complex business stock and asset-based transactions and corporate restructurings. Bob is widely acknowledged for his in-depth experience in and knowledge of securities regulation and is a regularly featured speaker at various seminars and conferences sponsored by, among others, the Financial Industry Regulatory Authority, Inc. (FINRA) (both national and regional), the Compliance and Legal Division of the Securities Industry Financial Management Association (SIFMA), the National Society of Compliance Professionals, the New York State Society of Certified Public Accountants, the International Association of Financial Planners, the New York State Bar Association and the Nassau County Bar Association. Bob consistently has been awarded an “AV” rating from Martindale Hubbell, the highest rating given by that organization, and is listed in the Martindale Hubbell Bar Registry of Preeminent lawyers.